Paul O’Neill launched a project in 1996 that over the past 20 years has become a critically-acclaimed, multi-platinum, musical powerhouse: Trans-Siberian Orchestra. 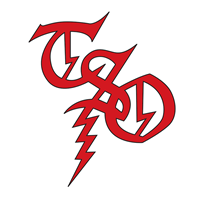 The progressive rock group’s record-setting “rock theater” tours sell out venues year after year and have cemented TSO’s status as a must-attend, multi-generational, holiday tradition. Now, TSO’s creator/lyricist/composer O’Neill is proud to announce that in its Platinum anniversary year, the group is bringing back its treasured tale, “The Ghosts of Christmas Eve,” to 61 cities across North America beginning on November 17th and concluding, after 105 shows, with special New Year’s Eve performances in Seattle and Cleveland (see below for a full itinerary). TSO’s Winter Tour 2016 is presented nationally by the Hallmark Channel. Debuted last year to rave critical and fan reviews, and based on TSO’s multi-platinum DVD and long running PBS fundraiser, “The Ghosts of Christmas Eve,” follows the journey of a runaway who breaks into an abandoned vaudeville theater on December 24th. While seeking shelter from the cold, the teen is discovered by the theater’s caretaker who uses the ghosts and spirits from the building’s past to turn her life around. The rock opera features such enduring fan-favorites as “Christmas Eve/Sarajevo 12/24,” “O’ Come All Ye Faithful,” “Good King Joy,” “Christmas Canon,” “Music Box Blues,” “Promises To Keep,” and “This Christmas Day.” 2016’s tour will see an all new second set containing some of TSO’s greatest hits and fan-pleasers.